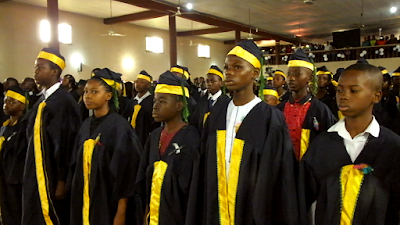 Celebrating the 17th graduation, speech and prize giving day, Command Day Secondary School Ojo, Lagos sent forth 467 students from JSS III to SS 1 and 342 students from SS III, on Tuesday 1st of August 2017. The event which took place at the Lt Gen KTJ Minimah hall was well attended by top officers in the Nigerian Army in which the General Officer Commanding (GOC) 81 Division Nigerian Army, MAJ GEN PJ DAUKE represented by the chief host COL YZ MOMOH, was the special guest of honour while the Corp Commander Nigerian Army Education Corps (NAEC), BRIG Gen LF ABDULLAHI represented by BRIG GEN M KINI, was the guest of honour. The Chairperson of the day was the CEO Marclera Gas Ltd Mrs. Christian Folashade Ajatoye. 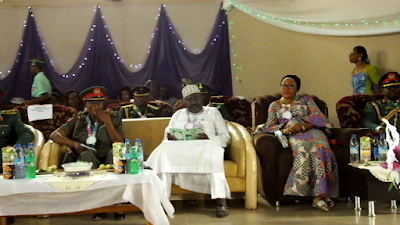 Other invited guest includes COL OLANIYI (Director Nigerian Army School of Music), COL MOHAMMED, COL KADAI (Commandant CSS Ipaja) LT COL BUKAR (Commandant CDSS Oshodi), LT COL ABDULLAHI (Commandant CDSS Ikeja), DR. OLADOSU AKEWUSOLA (guest speaker), HRM CHIEF JOSEPH IKWUJE (Royal Father of the day), Directors Quality Assurance Evaluator MRS ENEBONG E.E and EKOBAY and so on. The program started with the arrival of guest and was followed by opening prayer both from the Christian and Muslim faith. 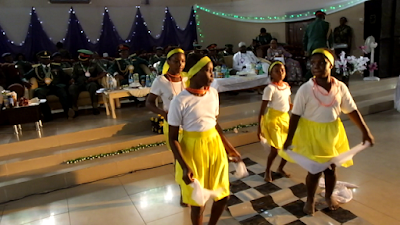 It was then followed by the procession of graduating students, PSOs and Commandants. 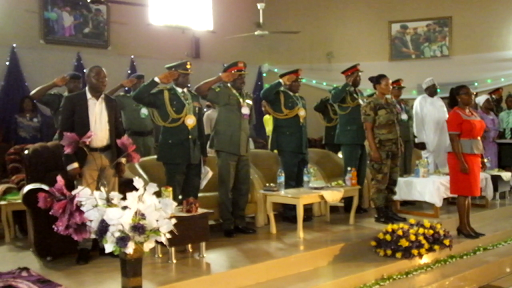 The Army band coordinated the national anthem and was followed by the school anthem led by the school choir. While delivering his address the Commandant CDSS Ojo, LT COL UA NDUNA said noted that it will be a day for celebrating hard work, discipline and knowledge in line with the school motto, commitment and excellence, which according to him are the core values of every progressive society as entrenched in the domains of education. 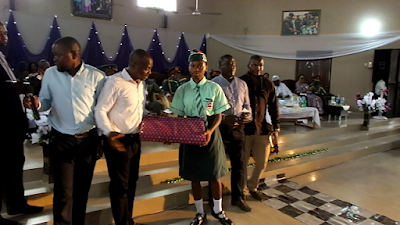 He added that whatever awards will be received by the recipients, are reflective of the mission of the school “to provide high quality education in the serene academic environent, while maintaining operational level of highest professional competence, through training and retraining of staff”. Adding that “The students have also been so groomed to face evolving challenges of the nation as responsible citizen and future leaders, This explains why most of the WAEC/NECO supervisors do not look forward to be posted here because they know from experience that there is no ‘extra deal’. I am proud to boldly declare that whatever results our students obtain in any examinations are purely outcomes of their personal efforts”. 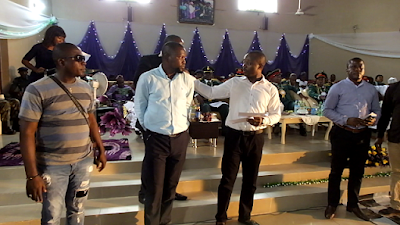 He said, “Command Day Secondary School (CDSS) Ojo, has in recent times brought succor to communities around Ojo-Badagry axis by accommodating different schools for some practical subjects due to amenities in the school. 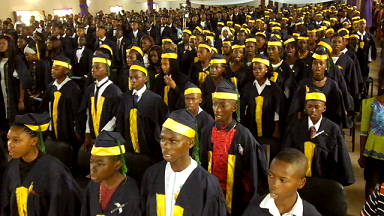 To crown it all CDSS Ojo has become a trailblazer by being the first JAMB CBT centre among all 34 command schools in Nigeria today. Even as much older centers are coming here for support." 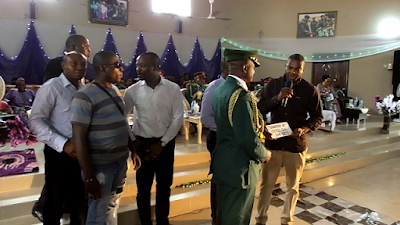 Ndana also added that CDSS Ojo Alumni Association lately pulled its weight strongly by contributing in no small measures to the upliftment of their alma-mater. 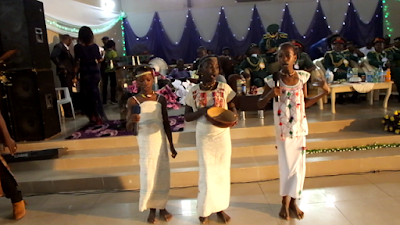 Student came forth to make the event a lively one for the audience, using their energy and moves to entertain the guests in Hausa, Igbo and Yoruba cultural display. 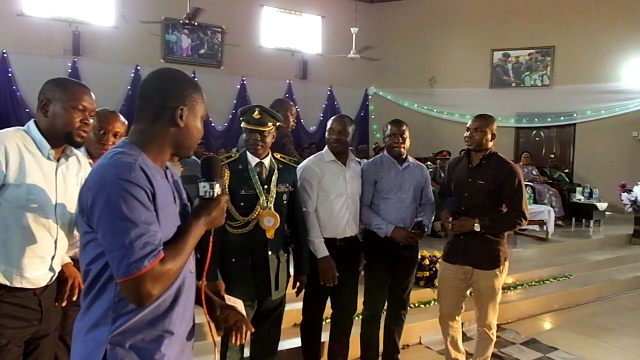 The Ex-commandos (old students) were invited to make their presentation while one of the old students who finished with first class from the Federal University of Technology, Akure (FUTA) was also invited to advise the graduating students. The special guest of honour, MAJ GEN PJ DAUKE in his speech which was delivered by his representative COL YZ MOMOH joined the Commandant in appreciating the collaborative effort of the PTA to the series of success recorded by the school and urge the key stakeholders not to relent in that mission. DAUKE pointed that part of the COAS’ vision was being fulfilled by NAEC through the complementary roles of the school in its he responsiveness to the plight of the immediate community as its social responsibility to the nation. 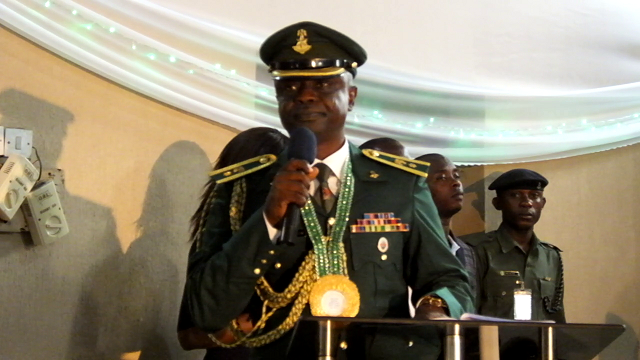 He said; “It is for these reasons that the commandant has earned himself commendation letters from my procedures and his corps commander. Keep it up. To the Alumni, you have done well by remembering that life is give and take by embarking on a ‘give back projects’ to your alma-mater. I urge you to keep the flag flying. It is a good foundation you have laid for these graduands and future ex-commandos, and posterity will not forget you". 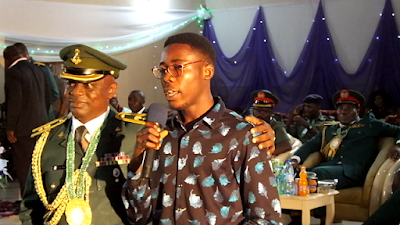 Admonishing the graduands he said, "this country is in dire need of serious minded and proactive youth who will rule Nigeria. There is a global move by the youths to take the world . Latest on the list is Emmanuel Macron, the prime minister of France; our own Akinwumi Adesina, President African Development Bank With its HQ in Abidjan etc. The clarion demand is never too young, by Nigeria youth for leadership position is apt and timely”. “You are being sent forth today, having been well equipped, both in mental abilities and in character to rule the world. Watch your priorities and your company. 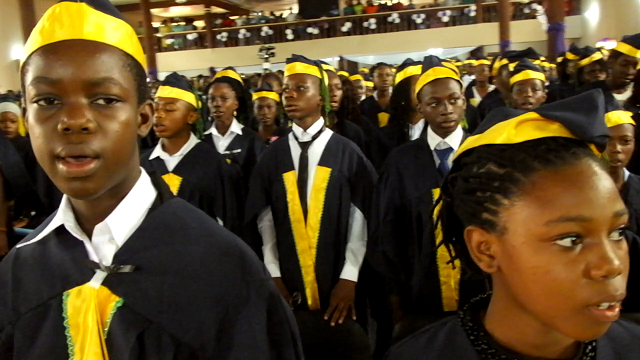 The choices you make from now on will determine to a large extent, how far you will go. So watch it.” he added. 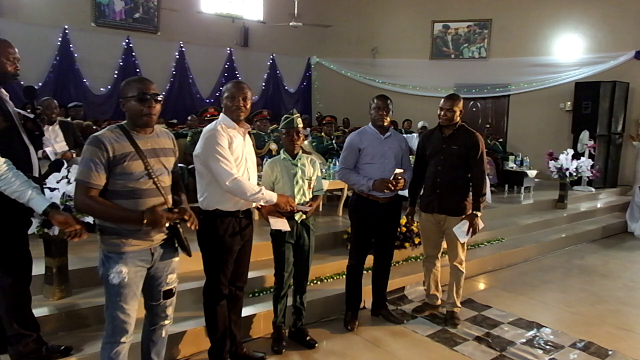 Coming close to the end of the event, awards were given to the students and staffs for their hard works and achievement special awards and commandant award were also given. 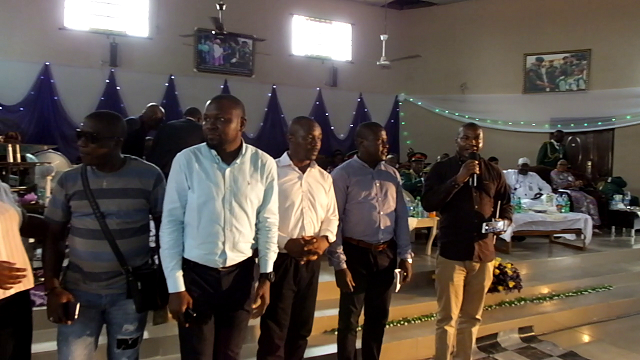 The VP Admin, who was also the chairperson organising committee, Mrs. Inyang V.G gave the vote of thanks which was followed by the closing prayer.